В настоящее время нейродегенеративные заболевания (НДЗ) занимают значительное место в структуре заболеваемости лиц пожилого возраста, что диктует необходимость поиска новых эффективных средств лечения и профилактики этой патологии. В основе развития НДЗ лежит нарушение метаболизма и изменение конформации клеточных белков с последующим накоплением и агрегацией их в определенных группах нейронов. Непосредственной причиной гибели пораженных нейронов при НДЗ является инициированный внутриклеточными белками апоптоз, в ходе которого освобождается большое количество медиатора глутамата. Следствием дисбаланса в синтезе и выделении соответствующих нейромедиаторов являются нарушения памяти, координации движений и мыслительных способностей человека. На основании анализа обширной литературы отечественных и преимущественно зарубежных авторов последнего десятилетия представлены современные данные о действии сульфатированных полисахаридов (СПС) из морских водорослей in vivo и in vitro при дегенеративных процессах нервной системы. Установлено, что благодаря своему многоточечному воздействию, СПС оказывают на организм антиоксидантное, противовоспалительное, антиапоптотическое, антигиперлипидемическое, антитоксическое действие. Вследствие этого СПС могут купировать ряд вторичных патологических эффектов, наблюдаемых при нейродегенеративных заболеваниях (окислительный стресс, воспалительный процесс, явление повышенного апоптоза нейронов, токсические эффекты и пр.). Многообразие патогенетических механизмов, лежащих в основе НДЗ, обусловливает возможность сочетанного применения нейропротективных соединений, действующих последовательно на разных этапах патологического процесса. Накоплено достаточно много экспериментальных данных, позволяющих считать, что СПС могут быть основой для создания лекарственных препаратов нового поколения для лечения нейродегенеративных заболеваний. 1. Damulin I.V. Diagnosis and treatment of dementia. RMZh = Russian medical journal. 2004; 12 (7): 465–467. 2. Pangestuti R., Kim S.K. Neuroprotective properties of chitosan and its derivates. Mar. Drugs. 2010; 8: 2117–2128. 3. Pangestuti R., Kim S.K. Neuroprotective effects of marine algae. Mar. Drugs. 2011; 9: 803–818. 4. Ponomarev V.V. Neurodegenerative diseases: present and future. Med. novosti = Medical news. 2007; 5: 23–28. 5. Illarioshkin S.N. Violations of cellular energy in diseases of the nervous system. Nervnye bolezni = Nervous Diseases. 2012; 1: 34–38. 6. van Eldik L.J., Ralay R.H. Glia proinflammatory cytokine upregulation as a therapeutic target for neurodegenerative diseases: function-based and target-based discovery approaches. Int. Rev. Neurobiol. 2007; 82: 277–296. 7. Parfenov V.A. Prevention of Alzheimer's disease. Nevrologiya, neiropsikhiatriya, psikhosomatika = Neurology, neuropsychiatry, psychosomatics. 2011; 3: 1–5. 8. Usov A.I., Bilan M.I. Fucoidans - sulfated polysaccharides of brown algae. Uspekhi khimii = Achievements of chemistry. 2009; 8: 846–853. 9. Zvyagintseva T.N., Shevchenko N.M., Chizhov A.O., Krupnova T.N., Sundukova E.V., Isakov V.V. Water-soluble polysaccharides of some brown seaweeds. Distribution, structure and dependence on the developmental conditions. J. Exp. Marine Biol. Ecol. 2003; 294 (1): 1–13. 10. Imbs T.I., Shevchenko N.M., Sukhoverkhov S.V. Influence of season on the composition and structural characteristics of polysaccharides of brown algae. Khimiya prirodn. soedinenii = Chemistry of Natural compounds. 2009; 6: 661–665. 11. Viloslada P., Moreno B., Melero I., Pablos J.L., Martino G., Uccelli A., Montalban X., Avila J., Rivest S., Akarin L., Appel S., Khoury S.J., McGeer P., Ferrer I., Delgado M., Obeso J., Schwartz M. Immunotherapy for neurological diseases. Clin. Immunol. 2008; 128: 294–305. 12. Watkins L.R., Maier S.F. Glia: a novel drug discovery target for clinical pain. Nat. Rev. Drug Discov. 2003; 2 (12): 973–985. 13. Lull M.E., Block M.L. Microglial activation and chronic neurodegeneration. Neurotherapeutics. 2010; 7 (4): 354–365. 14. Brown G.C., Neher J.J. Inflammatory neurodegeneration and mechanisms of microglial killing of neurons. Mol. Neurobiol. 2010; 41(2–3): 242–247. 15. Zheng L.T., Ryn G.M., Kwon B.M. , Lee W.H., Suk K. Antiinflammatory effects of catechols in LPS-stimulated microglia cells: inhibition of microglial neurotoxicity. Eur. J. Pharmacol. 2008; 588: 106–113. 16. Heales S., Bolanos J., Stevart V. , Brookes P., Land J.,Clark J. Nitric oxide, mitochondria and neurological disease. Biochim. Biophys. Acta. 1999; 1410: 215–228. 17. Block M.L., Zecca L., Hong J.S. Microglia-mediated neurotoxicity: uncovering the molecular mechanisms. Nat. Rev. Neurosci. 2007; 8 (1): 57–69. 18. Yun X., Krukoff T.L. Estrogen induces nitric oxide production via activation of constitutive nitric oxide synthases in human neuroblastoma cells. Endocrinology. 2004; 145: 1-22. 19. Lee H.R.,Do H., Lee S.R., Sohn E., Pyo S-N., Son E-W. Effects of fucoidan on neuronal сell proliferation assotiation with NO production through the iNOS pathway. J. Food Sci. Nutr. 2007; 12: 74–78. 20. Cumashi A., Ushakova N.A., Preobrazhenskaya M.E., D’Ince cco A., Piccoli A., Totani L., Tinari N., Morozevich G.E., Berman A.E., Bilan M.I., Usov A.I., Ustyushanina N.E., Grachev A.A., Sanderson C.J., Kelly M., Rabinovich G.A., Iakobelli S., Nifantiev N.E. A. comparative study of the antiinflammatory, anticoagulant, antiangiogenic and antiadhesive activities of nine different fucoidans from brown seaweeds. Glycobiology. 2007; 17: 541–552. 21. Marques C.T., Azevedo T.C.G., Nascimento M.S. et al. Sulfated fucans extracted from algae Padina gymnospora have anti-inflammatory effect. Rev. Bras. Farmacogn. 2012; 22 (1): 115–122. 22. Nelson E.D., Ramberg J.E., Best T., Sinnot R.A. Neurologic effects of exogenous saccharides: a review of controlled human, animal and in vitro studies. Nutr. Neurosci. 2012; 15 (4): 149–162. 23. Cui Y.Q., Zhang L.J., Zhang T., Luo D.Z., Jia Y.J., Guo Z.X., Zhang Q.B., Wang X., Wang X.M. Inhibitory effect of fucoidan on nitrit oxide production in lipopolysaccharide-activated primary microglia. Clin. Exp. Pharmacol. Physiol. 2010; 37: 422–428. 24. Do H., Pyo S., Sohn E.H. Suppression of iNOS expression by fucoidan is mediated by regulation of p38 MAPK, JAK/STAT, AP-1 and IFR-1, and dependents on up-regulation of scavenger receptor B1 expression in TNF-α and IFN-γ-stimulated C6 glioma cells. J. Nutr. Biochem. 2010; 21 (8): 671–679. 25. Nakamura T., Suzuki H., Wada Y., Kodama T., Doi T.Fucoidan induces nitric oxide production via p38 mitogen activated protein kinase and NF-kB-dependent signaling pathways through macrophage scavenger receptors. Biochem. Biophys. Res. Commun. 2006; 343: 286–294. 26. Park H.Y., Min H.H., Park C., Jin C.Y., Kim G.Y., Choi I.W., Kim N.D., Nam T.J., Kwon T.K., Choi Y.H. Anti-inflammatory effects of fucoidan through inhibition of NF-kB, MAPK and Act activation in LPS-induced BV2 microglial cells. Food Chem. Toxicol. 2011; 49 (8): 1745–1752. 27. Rankine P.M.,Huges M.S., Botham V.H., Hughes M.S., Perry V.H., Felton L.M. Brain cytokine synthesis induced by an intraparenchimal injection of LPS is reduced in MCP-1-deficient mice prior to leucocyte recruiment. Eur.J. Neurosci. 2006; 24: 77–86. 28. Lynch M.A. The multifaceted profile of activated microglia. Mol. Neurobiol. 2009; 40: 139–156. 29. Saito A., Yoneda M., Yokohama S., Okada M., Haneda M., Nakamura K. Fucoidan prevents concanavalin A-induced liver injuru through induction of endogenous IL-10 in mice. Hepatol. Res. 2011; 35: 190–198. 30. Kang G.H., Yan B.C., Cho G.S., Kim W.K., Lee C.H., Cho J.H., Kim M., Kang I.J., Won M.H., Lee J.C. Neuroprotective effect of fucoidin on LPS accelerated cerebral ishemic injury through inhibition of cytokine expression and neutrophil infiltration. J. Neurol. Sci. 2012; 15: 25–30. 31. Erin A.N., Gulyaeva N.V., Nikushkin E.V. Free radical mechanisms in cerebral pathologies. Byull. eksp. biol. med. – Bulletin experimental biology and medicine. 1994; 10: 343–348. 32. Moosman B., Behl C. Antioxidants as treatment for neurodegenerative disorders. Exp. Opin. Investig. Drugs. 2002; 11: 1407–1435. 33. Zhou J., Hu N., Pan Y. Preliminary studies on the chemical characterization and antioxidant properties of acid polysaccharides from Sargassum fisiforme. J. Zheiang Univ. Science B. 2008; 9 (9): 721–727. 34. Wang X.M., Zhang Q.B., Cui Y.Q. Neuroprotective effect of fucoidan against 6-OHDA-induced damage and its mechanism on MN9D cell line. Chinese J. Neuromed. 2010; 9 (3): 507-521. 35. O'Sullivan A.M., O'Cailaghan Y.C., O'Gredy M.N., Queguineur B., Hanniffy D., Troy D.J., Kerri J.P., O’Brien N.M. In vitro and cellular antioxidant activities of seaweed extracts preparated from five brown seaweeds harvested in spring from the west coast of Ireland. Food Chemistry. 2011; 126: 1064–1070. 36. Magalhaes K.D., Costa L.S., Fidelis G.P., Cordeiro S.H., Sabry D.A.,, Oliveira R.M., Nobre L.T.D.B., Dantas-Santos N., Camara R.B.G., Albuquerque I.R.L., Cordeiro S.H., Sabry D.A., Costa M.S.S.P., Alves L.G., Rocha L.G. Anticoagulant, antioxidant and antitumor activities of heterofucans from the seaweed Dictiopteris delicatula. Int. J. Mol. Sci. 2011; 12: 3352–3365. 37. Costa L.S., Fidelis G.P., Cordeiro S.L., Oliveira R.M., Sabry D.A., Camara R.B.G., Nobre L.T.D.B., Costa M.S.S.P., Almedia-Lima J., Farias E.H.C., Leite E.L., Rocha H.A.O. Biological activities of sulfated polysaccharides from tropical seaweed. Biomed. Pharmacother. 2010; 64: 21–28. 38. Zhang Z., Wang X., Liu X., Hou Y., Zhang Q. Extraction of polysaccharides from five alga and their potential antioxidant activity in vitro. Carbohydr. Polym. 2010; 82: 118–121. 39. Camara R.B.G., Costa L.S., Fidelis G.P., Nobre L.T., Dantas-Santos N., Cordiro S.L., Costa M.S., Alves L.G., Rocha H.A. Heterofucans from the brown seaweed Canistrocarpus cervicornis with anticoagulant and antioxidant activities. Mar. Drugs. 2011; 9 (1): 124–138. 40. Costa L.S., Fidelis G.P., Telles C.B.S., Dantas-santos N., Camara R.B., Cordiro S.L., Costa M.S., Almedia-Lima J., Melo-Silveira R.F., Oliveira R.M., Albuquerque I.R., Andrade G.P., Rocha H.A. Antioxidant and antiproliferative activities of heterofucans from the seaweed Sargassum filipendula. Mar. Drugs. 2011; 9: 952–966. 41. Kim S.H., Choi D.S., Athucorala Y.,Jeon Y.J., Senevirathne M., Cho R. Antioxidant activity of sulfated polysaccharides isolated from Sargassum fulvellum. JFSN. 2007; 12 (2): 65–73. 42. Hwang P.A., Wu C.H., Gau S.Y., Chien S-Y., Hwang D-F. Antioxidant and immune-stimulating activities of hotwater extract from seaweed Sargassum hemiphyllum. J. Marine Sci. Technol. 2010; 18 (1): 41–46. 43. Peerapompisal Y.D., Jamjai T., Taesotkul Y. et al. Antioxidant and anti-inflammatory activities of brown marine alga Padina mirror Yamada. Chang Mai J. Sci. 2010; 37: 507–516. 44. Qi H., Zhang Q., Chen R., Niu X., Li Z. Antioxidant activity of different sulfat content derivates of polysaccharide extracted from Ulva pertusa (Chlorophyta) in vitro. Int. J. Biol. Macromol. 2005; 37: 195–199. 45. Ruperez P., Ahrazem O., Leal J.A. Potential antioxidant capacity of sulfated polysaccharides from the adible seaweed Fucus vesiculosis. J. Agric J. Food Chem. 2002; 50: 840–845. 46. Akyol O., Herken H., Uz E., fadillioqlu E., Unai S.,, Soquit S., Ozyurt H., Savas H.A. The indices of endogenous oxidative and antioxidative processes in plasma from schizophrenic patients. The possible role of oxidant/ antioxidant imbalance. Progr. Neuro-Psychopharmacol.Biol. Psychiatr. 2002; 26: 995–1005. 47. Cho M.L., Kang I.G., Won M.H., Lee H.S., You S.G. The antioxidant properties of ethanol extracts and their solvent partitioned fractions from various green seaweeds. J. Medicinal Food. 2010; 13 (5): 1232–1239. 48. Fitton J.H. Therapies from fucoidan. Marine Drug. 2011; 9: 1731–1760. 49. Luo D., Zhang Q., Wang H., Cui Y., Sun Z., Yang J., Zheng Y., Jia J., Yu F., Wang X. Fucoidan protects against dopaminergic neuron death in vivo and in vitro. Eur. J. Pharmacol. 2009; 617 (1–3): 33–40. 50. Gao Y., Yin J., Shen J., Shen J., Wang H., Wu Y., Jin H. Fucoidan, a sulfate polysaccharide from brown algae, improves cognitive impairment induced by infusion Aβ peptide in rats. Environ. Pharmacol. 2012; 33 (2): 304–311. 51. Jhamandas J.H., Wie M.B., Harris K., MacTavish D., Kar S. Fucoidan inhibits cellular and neurotoxic effects of β-amyloid in cholinergic basal forebrain neurons. Eur. J. Neurosci. 2005; 21 (10): 2649–2659. 52. Mishra S., Palanivelu K. The effect of curcumin (turmeric) on Alzheimer’s disease: an overview. Ann. Indian Acad. Neurol. 2008; 11 (1): 13–19. 53. Bartus R.T. On neurodegenerative diseases, models and treatment strategies: lessons forgotten a generation following the cholinergic hypothesis. Exp. Neurol. 2000; 163: 495–529. 54. Stirk W., Reinecke D., van Staden J. Seasonal variation in antifungal, antibacterial and acetylcholinesterase activity in seven South African Seaweeds. J. Appl. Phycol. 2007; 19: 271–276. 55. Yoon N.Y., Lee S.H., Yong L., Kim S.K. Phlorotannins from Ishige okamurae and their acetyl- and bytyrylcholinesterase inhibitory effects. J. Funct. Foods. 2009; 1: 331–335. 56. Butterfield D.A. Amyloid β-peptide (1–42)-induced oxidative stress and neurotoxicity: implications for neurodegeneration in Alzheimer’s disease brain. Free Rad. Res. 2002; 36: 1307–1313. 57. Ji A., Yao Y., Che O., Wang B., Sun L., Li X., Xu F. Isolation and characterization of sulfated polysaccharide from the Sargassum pallidum (Turn.) and its sedative/hypnotic activity. J. Medicinal Plants Res. 2011; 5 (21): 5240–5246. 58. Sun L.S., Li L., Xu J.P. Sedative and hypnotic effect of sulfated polysaccharide from brown seaweed. Chin. J. Clin. Rehabil. 2006; 10: 127–129. 59. Matta C.B.B., Souza E.T., Queiroz A.C. Antinociceptive and anti-inflammatory activity from algae of the genus Caulerpa. Mar. Drugs. 2011; 9 (3): 307–318. 60. Coura C.O., Arauyo I.V.V., Vanderlei E.S., Quindere A.L., Fontes B.R., Querroz I.N.L., Menezes D.B., Bezerra M.M., Silva A.A.R., Chaves H.V., Jorge R.J.B., Evangelista J.S.A.M., Benevides N.M.B. Antinociceptive and anti-inflammatory activities of sulfated polysaccharides from the red seaweed Gracillaria cornea. Basic Clin. Pharmacol. Toxicol. 2012; 110 (4): 335–341. 61. Doh-ura K., Kuge T., Uomoto M., Nishizawa Y., Masahiko I. Prophylactic effect of dietary seaweed fucoidan against enteral prion infection. Antimicrob. Agents Chemother. 2007; 51 (6): 2274–2277. 62. Shkundina I.S., Ter-Avanesyan M.D. Prions. Uspekhi biol. khimii – Achievements of biological chemistry. 2006; 46: 3–42. 63. Zuev V.A. Prions - a new class of infectious agents. Antibiotiki i khimioterapiya = Antibiotics and chemotherapy. 1999; 10: 33–38. 64. Pokrovskiy V.I., Kiselev O.I. Molekulyarnye osnovy prionnyh bolezney. Vestnik RAMN = Bull. of the Russian Academy of Medical Science. 1998; 10: 45–55. 65. Pokrovskiy V.I., Kiselev O.I., Cherkasskiy B.L. Priony i prionnye bolezni. M.: RAMN. S. 192–193. 66. Ouidja M.O., Petit E., Kerros M.E., Ikeda Y Morin C., Carpentier G., Barritault D., Brugere-Picoux J., Deslys J., Adjou K., Papy-Garcia D..Structure-activity studies of heparin mimetic polyanions for anti-prion therapies. Biochem. Biophys. Res. Commun. 2007; 363 (1): 95–100. 67. Horonchik S., Tzaban O., Zaken O.B., Yedidia Y., Papy-Garcia D., Barritault D., Vlodavsky I., Taraboulos A. Heparan sulfate is a cellular receptor for purified infectious prions. J. Biol. Chem. 2005; 280: 17062–17067. 68. Irhimeh M.R., Fitton J.H., Loventhal R.M., Kongtawelert P. A quantitative method to detect fucoidan in human plasma using a novel antibody. Meth. Find. Exp. Clin. Pharmacol. 2005; 27: 705–710. 69. Guimaraes M.A.M., Mourao A.S. Urinary excretion of sulfated polysaccharides administered to Wistar rats suggest a renal permselectivity to these polymers based on molecular size. Biochim. Biophis. Acta. 1997; 1335: 161–172. 70. Mabbot N.A., MacPherson G.G. Prions and their lethal journey to the brain. Nat. Rev Microbiol. 2006; 4: 201–211. 71. Wang J.Y., Wen L.L., Huang Y.N., Chen Y.T., Ku M.C. Dual effects of antioxidants in neurodegeneration: direct neuroprotection against oxidative stress and indirect protection via suppression of glia-mediated inflammation. Curr. Pharm. Des. 2006; 12 (27): 3521–3533. 72. Rolik I.S. Fetal'nye organopreparaty: klinicheskoe primenenie [Fetal Organic Drugs: Clinical Application]. Moscow, RegBiomed, 2004. 336 p.
73. 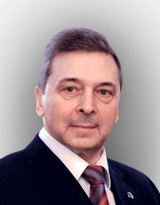 Osipov K.V. The possibility of using high-tech peptide drugs in neurology. Sovremennye naukoemkie tekhnologii = Modern high technologies. 2010; 7: 107–111.